Anyone who knows me knows that I prefer to make my ingredients from scratch, when possible. I’ve said before that I don’t want my ingredients to contain sub-ingredients, and that still holds. So, I’ve got a really easy enchilada sauce recipe for you today (really easy – it literally takes about 15 minutes total). Heat the olive oil in a saucepan, then add the chopped onion. Saute the onion, and once it’s just about done (translucent, almost browning) add your garlic. Saute for a minute or so (don’t let the garlic burn!) and then add the dry spices. Stir it around and saute the whole thing for a few more seconds, then add the stock and tomato sauce. Stir it all together and then just let it simmer for 10 minutes or so. 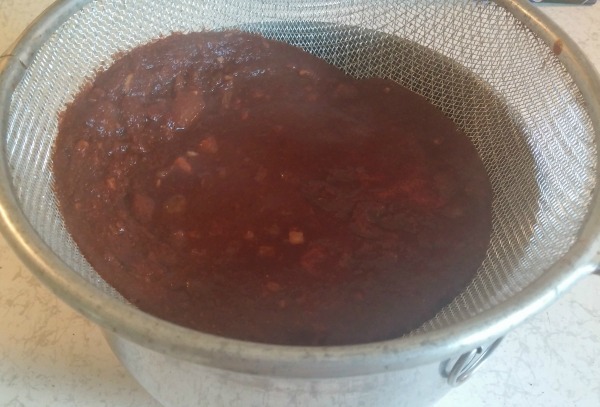 Pull it off the heat and pour it into a strainer over a bowl. 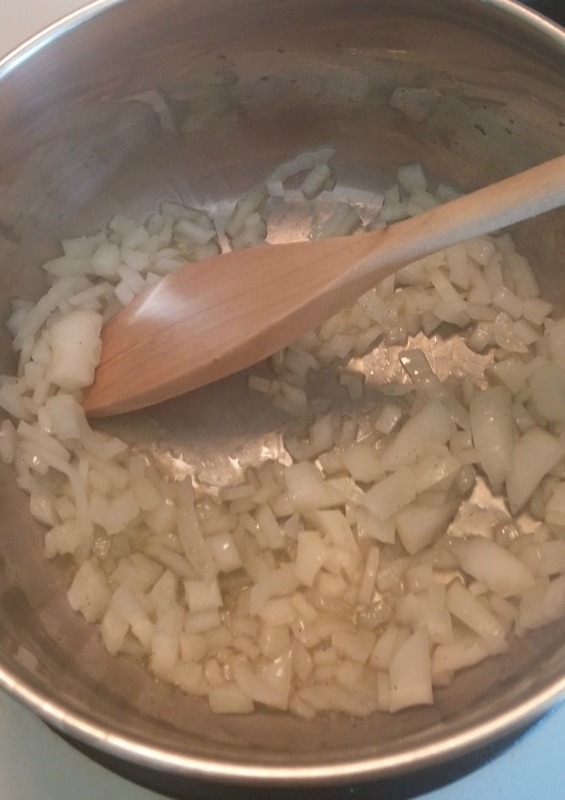 Let the liquid strain into the bowl, and when it stops dripping press the onions with a spoon to get the rest out. Set the onions aside if you are making enchiladas right away – you can use them in the enchilada filling! Olé! You’re done! Now you can use the sauce immediately, or put it in an airtight container and store it in the fridge for later.